The boom in cryptocurrencies and blockchain technology has created an entirely new industry for which there is now a massive demand for talent. More and more blockchain startups, as well as established companies, are looking to hire both technical and non-technical personnel who have experience in blockchain technology. According to a report by AngelList, blockchain jobs currently pay 10 to 20 percent more than non-blockchain jobs. 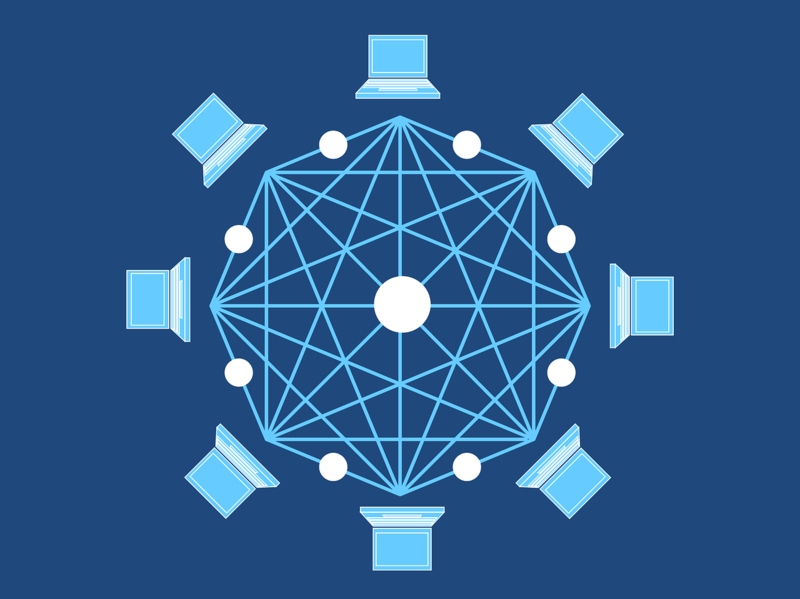 Furthermore, blockchain jobs can come with additional benefits such as profit sharing arrangements and the flexibility to work remotely. In this guide, you will find the complete list of bitcoin and blockchain jobs platforms to help you find employment in this exciting new industry. BitGigs is a bitcoin job board where you can sell your services or find a gig that pays in cryptocurrency. BitGigs is somewhat the cryptocurrency equivalent to Fiverr.com as it focuses more on small one-off gigs than freelance or full-time employment. BitWage Jobs makes job hunting an easy task by emailing you jobs that match your skills. What’s more, recruiters can directly send you jobs that match your skills and interests. Alternatively, you can search through the platform’s job listing. BitWage jobs specialises in remote jobs. Blockchain Headhunter is a jobs platform where employers can find top blockchain professionals. Getting a job is as easy as submitting your CV and waiting for the site to match you with the right job vacancies. You can also browse through the jobs posted to find your dream blockchain job. BlockchainDevJobs is a jobs platform created for blockchain developers. Simply browse through the platform’s job listing to find a job that might suit you. Blockchainjobs.co helps developers to discover blockchain jobs with great companies. To use this platform, sign up for an account then browse the job vacancies listed. BlockchainJobs.co.uk is a jobs platform that gives the UK blockchain community a chance to grow. Blockchain professionals can discover lots of employment opportunities from the vacancies listed. BlockchainJobz offers more than 700 technical and non-technical blockchain jobs. Some of the companies that post job openings on this platform include Provenance, Consesys, and R3. BlockchainJobz posts job openings in cities such as San Francisco, New York, London, Tel Aviv, Singapore, and Berlin. Blocktribe is a job site where you can find remote, contract, and permanent blockchain jobs. Some of the employers that post their jobs on this platform include Abra, Coinbase, and Blockchain Developers Inc. Blocktribe also allows recruiters to post jobs on behalf of clients. Some of the employers that post job opportunities on this site indicate the salaries on offer. Coinality is a jobs platform that helps freelancers find employers. The platform pays freelancers in bitcoin, dogecoin, and litecoin. You can access full-time or one-time blockchain jobs and negotiate the pay independently with the employer. Crypto Jobs List has a blockchain jobs board for blockchain engineers, cryptographers, and developers and is one of the most professionally run blockchain job portals. Cryptogrind is a job site where freelancers are paid in bitcoin. Simply sign up for an account to find a blockchain job that pays in crypto. Cryptojobs is a platform that posts blockchain jobs from around the world. Job types on this site range from full-time to contract-based. Moreover, this platform is suitable for anyone seeking remote blockchain jobs. Some of the employers with job postings on this site are Decentral, ChainBytes LLC, and Salus Alpha. Cryptojobsmarket gives people with tech skills a chance to find jobs in the crypto space. Presently, the site has 285 jobs from 23 companies. Creating an account on this platform is free for both job hunters and recruiters. Ethlance is the first decentralised online job marketplace that allows employers and freelancers to link up through the Ethereum blockchain at zero cost. While hiring platforms like UpWork charge a high service fee, Ethlance users are only required to pay the ‘gas fees‘ that meet the cost of running transactions on the Ethereum blockchain. JobinChain is a platform where blockchain developers can find industry-specific jobs. The jobs posted on this platform are from different cities around the world. Additionally, you can find partially remote and fully remote jobs. Aside from dedicated blockchain jobs portal, you can also find cryptocurrency-related jobs on dedicated Reddit threads such as r/Jobs4Crypto and /r/Jobs4Bitcoins. Since it is Reddit and not a jobs platform, there is little to no quality control covering the jobs posted. Hence, caution is advised. Having said that, you can regularly find a few gems on there so have a look if you are searching for a job in crypto. XBTFreelancer is a jobs platform where freelancers can find blockchain projects. On this platform, freelancers are paid in bitcoin. XBTFreelancer has a built-in escrow service that ensures risk-free transactions and a positive user experience. Aside from the above-listed dedicated cryptocurrency jobs platforms, there are also several established job portals and freelancer platforms that offer blockchain job opportunities such as LinkedIn, UpWork, AngelList, Indeed, and Freelancer.com. The world’s leading digital currency bitcoin has become popular among Africans but thanks to the growth of the altcoin market, the continent now also has its own African cryptocurrencies. 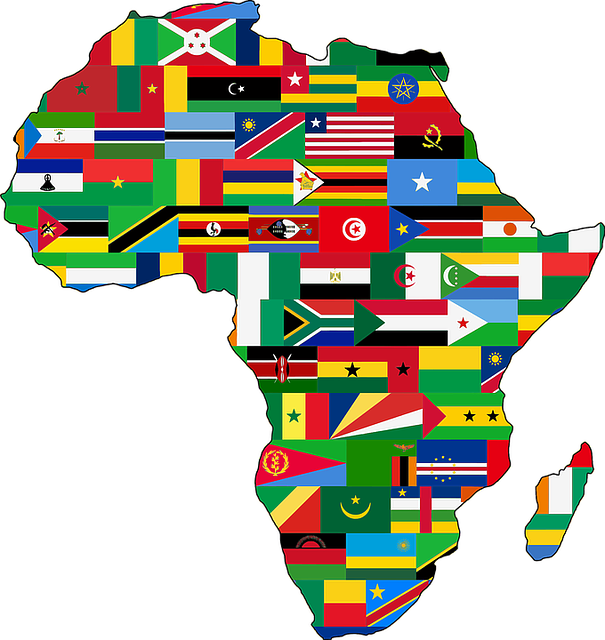 In this guide, you will discover six African cryptocurrencies that are each trying to solve different challenges faced by the African population. “[Kobocoin] is a cryptocurrency and blockchain with an African heritage aimed at the African market with global ambitions,” Felix Onyemechi Ugoji, a United Kingdom-based Nigerian entrepreneur and developer, told Bitcoin Africa in an interview. Kobocoin aims to play in Africa’s remittance market too to provide a fast and low-cost way for Africans in the diaspora to send money home. It also wants to be a cheap and reliable alternative to existing mobile money services in Africa. Even though Kobocoin has had only very few adopters on the African continent since 2015, it received a significant shot in the arm in August 2018 when it announced on Bitcointalk, the largest online community for cryptocurrency users, that it will list on Golix, Zimbabwe’s largest cryptocurrency exchange. The listing will enable users to buy KOBO directly with crypto, Nigerian Naira, Kenya Shilling and South African Rand. Launched in 2016, the Digital Shilling is a Kenya-based altcoin that is one of the first ventures to tackle cross-border payment issues using blockchain technology. However, since it got started the project has not gained much traction and adoption is de facto non-existent. The founder and lead developer of Digital Shilling, Kelvin Yavwa, told BitcoinAfrica.io that the project had been bedevilled by “a massive disconnect with its point of contact – the African market.” He said the shilling is currently not at its full potential to provide a “simplified secure coin” for the African people. The challenge of market fit is not unexpected as every other cryptocurrency in the world right now, including bitcoin, is still a work-in-progress. The cause for concern for Digital Shilling, though, should be its low trading volumes among investors. Since inception, its been only listed on four exchanges – BigBitex, OpenTrade, Nova, and Yobit, and at the time of writing, the 24-hour volume on these four exchanges was zero. Nigerian blockchain-based non-cash remittance startup SureRemit could not have started on a better foot after raising a whopping $7 million during its token sale held from December 8, 2017, to February 8, 2018. SureRemit, with its Remit (RMT) tokens, provides an opportunity for diaspora Africans to pay bills and buy shopping vouchers for their families and friends back home in Africa. It has an increasingly growing network of merchants around Africa and international partners to enable Africans to send e-vouchers that are redeemable on the continent. The startup recently announced a partnership with a new voucher/gift card partner to help it gain access to the Turkish market. SureRemit says this partnership could bring in over 50 new merchants. In its 2019 roadmap, it expressed ambitions to be listed on five cryptocurrency exchanges and open offices in Europe and North America. Created in a country where regulators have been critical of cryptocurrencies, Awehcash is a cryptocurrency that wants to give Namibians an easy and secure access to the blockchain world. Namibia’s Awehcash is built on the Waves Platform, a global public blockchain platform that provides a shared infrastructure for new blockchain-based projects. The company created only 21 million Awehcash tokens and had distributed “approximately 46,000 tokens” in October, Awehcash’s co-founder, Daniel, told BitcoinAfrica. With the Bank of Namibia reinforcing its critical stance on cryptocurrencies in a public paper in May 2018 stating that “it does not recognise, support and recommend the possessing, utilisation and trading of cryptocurrencies in Namibia and by members of the public,” Awehcash already has an uphill task trying to convince Namibians to disregard warnings from the country’s central bank. ONEm, a London-based technology company, launched the Mcoin for the African continent in September 2018. Its main selling point is that the digital currency can be transferred over text message and does, therefore, not require Internet. The company will offer both a digital wallet and an SMS wallet which works with a set of shortcodes and does not need a connection to the internet. The company wants to reach the unconnected on the African continent and provide commercial and financial services to them through their mobile phone, with or without access to the Internet. Even though this blockchain project sounds exciting and is attempting to solve a real problem, it remains to be seen how it will be able to forge partnerships with mobile operators in Africa and different regulators in each African country. And also, how it will convince the locals in many African communities to trust its platform. Earlier in the year, Bitcoin Africa reported the launch of Wala’s zero-fee, borderless micropayments app in Uganda, South Africa, and Zimbabwe. The Dala token is used by Wala, a mobile financial services platform built on the Ethereum blockchain, and is issued by the Dala Foundation. The goal of the Wala team is to cater to the unbanked and underbanked in Africa. It is leveraging the Dala token to create a platform where people can send money to friends and families around Africa at fees lower than traditional banks and conduct other transactions such as buying airtime and paying bills at zero transaction fee. The popularity of digital currencies has led to an explosion of cryptocurrency investment schemes and services. These investment services offer a variety of crypto-related financial products to investors who are looking to generate profits by trading cryptocurrencies. One such online investment vehicle is Bitcoin Loophole. While Bitcoin Loophole markets itself as a cryptocurrency trading software, it has become apparent that this venture is very likely a scam, preying on unwitting cryptocurrency investors. How Does Bitcoin Loophole Work? Bitcoin Loophole claims to be a new cryptocurrency trading software that has been designed by alleged “prominent investor” Steve McKay. According to the company’s website (of which there are several), the software operates on a fully automated mode. The Bitcoin Loophole trading software allegedly works by utilising a “highly efficient programming algorithm” that is based on a so-called ‘Flock Principle’. The platform’s alleged creator, Steve McKay, apparently found a loophole, which enables him to apply the economic theory to a basic computer code. The platform development team who manage the computer code assert the trading software scans the ongoing market situation and then predicts whether the price of any digital asset, traditional asset or cryptocurrency pair will rise or fall. Signing up for Bitcoin Loophole is free using the site’s log-in form. The next step is opening a “trading account” on the partnering broker service. The site claims to work with legitimate brokers and thus claims that investors funds and information are secure. To begin trading a user has to fund his account with an initial deposit. The minimum deposit is $250. The deposits can be made through a variety of payment channels including credit cards, wire transfer, and bitcoin (BTC) and its operators claim that funds can be withdrawn any time. The site also claims once users have signed up and made a deposit they are guaranteed to get daily returns. How is Bitcoin Loophole a Scam? The obvious red flag concerning Bitcoin Loophole is the site promises a minimum of $13,000 daily returns. Now, imagine making over $500 an hour without any effort? Sounds goods to be true! Well, that is because it is good to be true. Going by their guarantee, it would mean that anyone using the service will be a millionaire in a few months. However, when you study the disclaimer on the website you will notice it states that the site does not guarantee any profits. This is a direct contradiction to what is stated on the sales page. Furthermore, the alleged CEO of Bitcoin Loophole, Steve McKay, does not seem to exist. If you take a closer look at any of his photos on the website you will notice they are stock images and a reverse Google image search proves that. It is, thus, very obvious that the site’s operators want to stay anonymous and are using a fake frontman to lure investors into their scheme. Also, research has failed to confirm the claim that he has been featured on Forbes or Business Insider in the past even though the site makes this claim and the reviews found on the website are all fake. It is also important to note Bitcoin Loophole is not regulated nor does it have any license for its operations. In fact, the FCA issued a warning against Bitcoin Loophole as it has no authorisation to target investors in the UK. Unsurprinsgly, there is also no information on how the “trading software” actually works nor is there evidence of any actual trading in the crypto markets by the operation. No valid information on the company or individuals behind the platform. The alleged owner Steve McKay does not seem to be a real person. The Steve McKay online persona has been linked to other alleged bitcoin scams. Bitcoin Loophole uses fake reviews and gives no insight into ownership structure. No insight into how the “trading software” is generating its alleged profits. The platform uses several different websites and its main website is no longer online. The UK financial regulator has issued a warning against Bitcoin Loophole. Finally, the platform guarantees a profit, which is arguably the biggest red flags of all! If such an extraordinarily profitable trading software really existed, it would be all over the news and not mentioned on some obscure websites. So, chances are the software is just a trading bot that executes whatever the site administrators have programmed it to perform if they even trade anything at all. Based on all these factors it is safe to assume that Bitcoin Loophole is a scam. Any online reviews that state otherwise have likely either been paid for or have solely been written to benefit financially from the platform’s referral system. Bitcoin users are always advised to research, consult experts and use some common sense before investing in any investment vehicle in the cryptocurrency space. In this beginner’s guide, you will discover how you can start earning your first free bitcoin cash if you are interested in learning more about this digital currency, its community and the opportunities it offers. Bitcoin Cash (BCH) is as a result of a Bitcoin fork that took place on August 1, 2017, after an ongoing debate between different factions of the bitcoin community was unable to help the world’s leading digital currency to remain unified. Bitcoin Cash (BCH) was created to address the scalability issues that were being faced by the Bitcoin network by increasing the block size. One way that most cryptocurrencies use to introduce new people to the world of digital currencies is through a faucet. A cryptocurrency faucet pays its users small amounts of digital currency in exchange for watching ads. The platforms earn through ad revenue and give a share of that back to its users. Bitcoin cash also has its own faucets. One of the most popular and reliable is Moon Cash. You sign up by setting up a CoinPot wallet and then you simply let the site run to accumulate small amounts of BCH. Moon Cash lets you claim the amount that has built up as often as you want. xHoneyBadger is a platform that lets users make money by viewing content. The platform has its own tokens known as honeybadgers (XHB), which are allocated to users each time they view a piece of content on the website. The platform makes money by selling advertisements with each ad sale being converted to bitcoin cash. 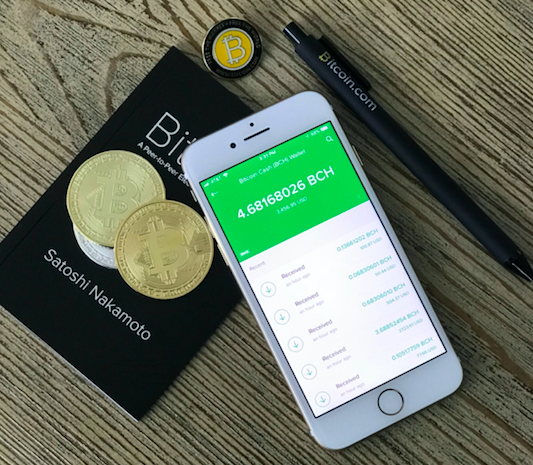 Members can then convert their XHB tokens at the end of each month to BCH. In addition, honeybadgers can be used to buy Amazon gift cards from the website. Yours is a growing get-paid-to-blog platform based on the Bitcoin Cash protocol. Its mission is to enable individuals to make money (in the form of bitcoin cash) by providing high-quality content. More specifically, Yours lets you earn bitcoin cash by “creating good content, finding good content and commenting on good content”. The platform earns bitcoin cash by charging for posted content and charging another five percent off payments that include purchases, comments, and tips on content. You can check out the FAQ section on their platform on how to earn bitcoin cash by either creating content, finding content or commenting on the content. OpenBazaar is a decentralised peer-to-peer marketplace that enables users to create an online shop and sell their products for more than 50+ cryptocurrencies, including bitcoin cash, without the need to involve any middlemen. On OpenBazaar, there are no platform or listing fees and members do not have to provide their bank details. Additionally, users are able to chat with customers live as well as customise their platform. If you have products to sell and you want to earn bitcoin cash in exchange, OpenBazaar is ideal for that. r/BCHBazaar is a Reddit thread that lets people sell goods and service in bitcoin cash and is a good alternative to OpenBaazar. All one needs to do is use a tag when posting such as “[For sale]”, “[Wanted]”, “[Auction]” or any preferred tag that is appropriate and clarifies whatever goods or services one is selling. Remember to also to describe the good or service and add the price in the title. If you are looking to earn bitcoin cash, consider any of the above-mentioned platforms and start earning. While it is unlikely that any of the above platforms will make you a “bitcoin cash millionaire”, they provide you with the ability to gain exposure to bitcoin cash.